Last week, when we received the newly launched Asus Zenfone Zoom for review on a returnable basis we were quite thrilled to review the much talked about feature of the phone – the ZOOM feature. We have reviewed Asus Zenfone earlier and have shared a detailed post with you on all the features that we love but, this time, we just wanted to review the camera of the phone. As a travel blogger, we love our DSLR but at times, it becomes a burden to carry it everywhere with all the lenses. I still remember when we were biking around the island of La Digue in Seychelles hopping from one beach to other, it was such a pain to carry the camera with all the lenses. We feel so happy when new good camera phones are launched with amazing features and clarity. Coming to Asus Zenfone Zoom, it hails to be one of the best camera phones with 3X optical zoom, 28-84 mm focal length and 10 finely crafted Hoya lens. It also has amazing stabilization feature that ensures you capture great photographs which are not blurry. In fact, there is low noise level when photos are taken in a dark setting. 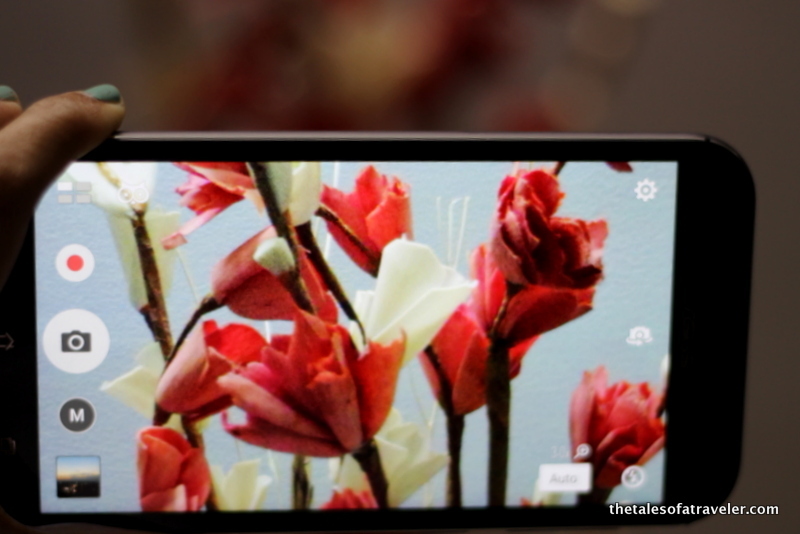 The phone also allows you to capture images in Auto as well as Manual mode. In manual mode, you can adjust the saturation, sharpness, noise reduction and contrast. You can also enhance the ambient light when the environment is dark. The best feature for all photographers is you can play around with the white balance, exposure value, ISO and shutter speed. Isn’t that cool? The photographs, the colours, the sharpness and the clarity are just amazing with Zenfone Zoom. Since I was stuck with some personal work, I tried snapping all kind of objects lying around my home to figure out the quality of pictures. I must say that I was quite impressed with the result. Sharing with you few pictures clicked by #ZenfoneZoom. Most of the time you might have noticed when you take a photograph with the maximum zoom on your phone it degrades image quality. The more the zoom, the higher the probability that the lens will have distortion or sharpness loss. But in the case of Zenfone Zoom, the pictures are just great. Wish it was delivered next week, I would have carried the phone instead of my DSLR on our weekend trip. Asus #ZenfoneZoom is one such good camera phone which is perfect for landscape, macro photography, food photography, videos and selfies. Or you can just say a perfect pocket DSLR. Do check HERE if you want to buy the phone. Thanks Maniparna, the camera quality is pretty good on this phone. Thanks Arun, the phone has stunning picture quality. I like the subjects you chose to photograph. They have been captured so well with details. Lovely picture Swati and Sam! Thank you so much Mridula. All the images have been captured amazingly.. Swati Sam…. nice post but I am not sure about camra quality and I have asus zenfone 2 4 gb ram varient and it’s camra is only drawback of phone specially in absence of sun light and if you try to take pics with flash it woulg give you worst image , in sunlight images are fairlly good ; so I will wait for some more reviews for making final opinion about this phone .